2014 Fleet Review – HubNut – celebrating the average! It is traditional at this time to avoid doing any proper, in-depth reporting, but instead to create a lazy, half-arsed ‘the year that was’ piece. I am something of a traditionalist, so shall not break with tradition. So, here begins the ClassicHub Fleet of 2014 Review. It shouldn’t take long, as it has been one of the quietest years ever for my fleet. Only four new vehicles have graced my driveway, and typically, only one of those has made it to the end of 2014. The year began with two absolute favourites from 2013 still here, as well as the 2CV I have owned since 2000. These are a few of my favourite things. All rotten. It was a fleet that pleased me mightily. The Discovery and 2CV had both cost me £450 to buy, the Sirion just £370. 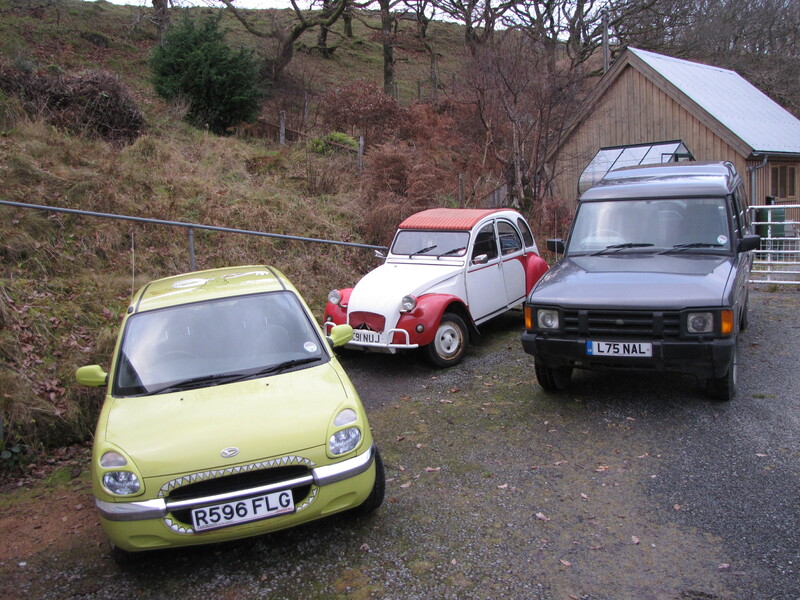 The downside was that all three were hideously rotten, though appreciation meant the 2CV was still worth much more than the £450 I had paid for it almost 14 years ago. The Daihatsu was surprisingly good for blezzing around the country – this time last year, we were up in the very north of Scotland with it. I liked it very much for its wacky charm, thrumming three-pot engine and sheer chuckability. The Discovery was a vehicle I’d wanted to own since it was launched back in 1989. Naturally, I couldn’t afford a very good one, but I liked it a great deal nonetheless. Sadly though, 2014 was a very meagre year for income, and the sad truth was that I just couldn’t justify the necessary upkeep it required. I don’t actually need to own a 4×4 and I also began to tire of the associations that are part of owning one. Too many people give 4×4 owners a bad name. I was fed up with being tarred with that brush. Could this be the last BX I ever own? In the meantime, I had to face up to the fact that the Sirion was not going to pass another MOT, due to the perilous state of its underside. I was starting to tire with the expense of keeping it going. Yes, it rarely went wrong, but options for spare parts were slim and often expensive, as the main dealer was the only source. 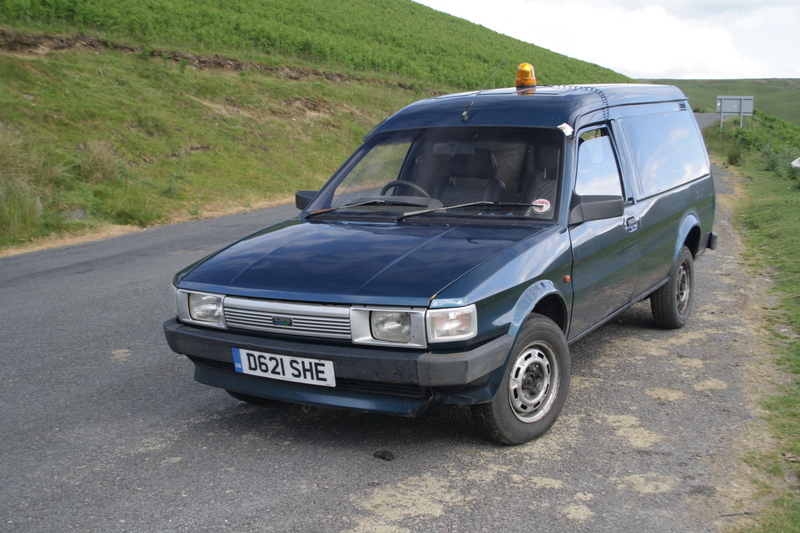 I did the only obvious thing and swapped it and £250 for a shambolic Maestro van. Maestro van! Not as dreadful as you might expect. This was a bit of a surprise to be honest. I’d owned a Maestro 1.3 previously and didn’t find much to like. For some reason, I liked the van a lot more. The A-Series engine was willing enough, with the sort of low-down grunt that the Sirion entirely lacked. Yet it was also more relaxing at speed. In fact, the only downsides were crap visibility, a shed load of noise and rock hard springing – not too dissimilar to the Sirion in that respect. I loved how low-tech it all was – just a distributor, carburettor and overhead valves. But I soon tired of the lack of refinement. I sold it via Retro-Rides and delivered it to Birmingham for the new owner. The plan was that I was going to drive home in the Rover 600 I was planning to purchase. But it was a dreadful old shed, being sold by a particularly dodgy brand of salesmen in Coventry. I actually beat a hasty retreat and began to wonder how I would get home. Salvation came in the form of a Rover 416SLi R8 spotted on Facebook. The collection antics were amusing, but it was a good, if slightly unexciting steed. My wife soon set about removing the stickers and I joined in. 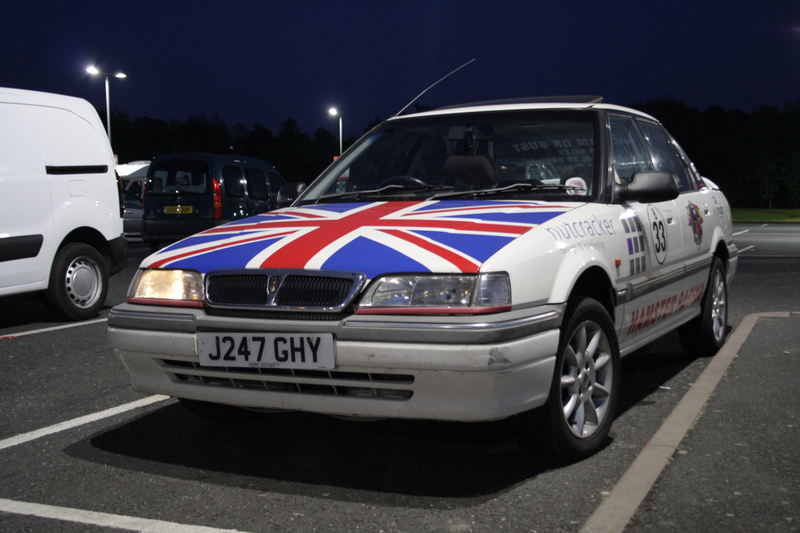 It had been used for a banger rally but the Rover cleaned up really rather well. There was a fine-looking car under all that colour. I clocked up quite a few miles in it, but this was not love. I wanted a 600. Or a Citroen XM. I wasn’t going to be happy until I owned one of either. So, the Rover was sold, and I met the new owner at Birmingham International, just as I had with the Maestro van only a few months previously. He drove off to Cambridgeshire in his new steed, and I went to buy one of the best vehicles I’ve ever owned. As a plot twist, I got transported there in the BX estate I’d owned earlier this year. Thanks Andy! Happy Fleet. I’ve got a happy fleet! 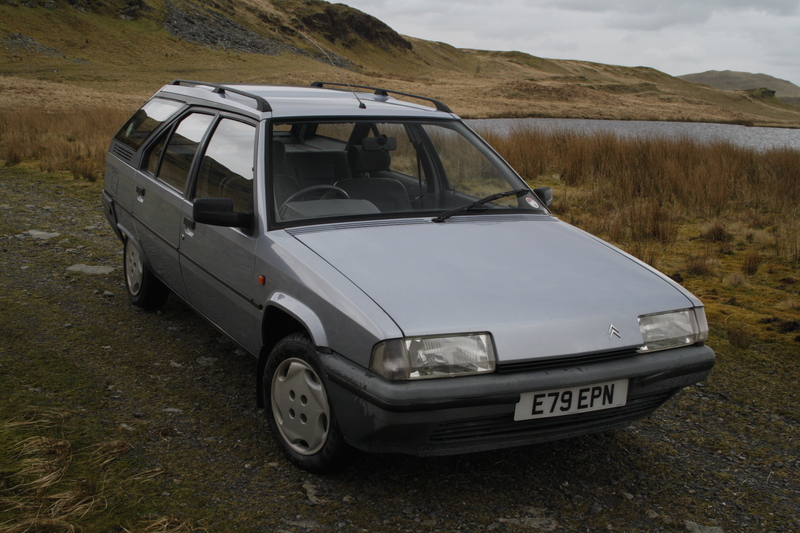 £375 saw me the owner of a car I’d spent most of 2014 lusting after, which I blame entirely on Practical Classics. You see, they’d asked me if I could bring an XM to a photoshoot at Rockingham Raceway. 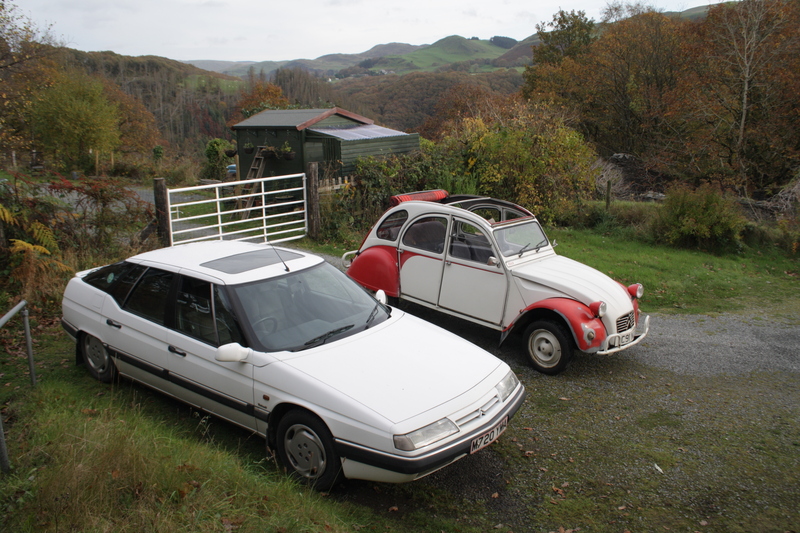 My trusty Citroen contacts delivered the goods and I found myself swapping my 2CV for a very nice 2.1-litre Turbo Diesel XM. I’m afraid I rather fell head-over-heels for the thing, and spent many months plotting how I could own one. Given my tiny budget, it was looking pretty much impossible, but a Twitter contact came good. The right car was located at the right price. Brilliant! It has been everything I’d hoped too. You can find endless praise for it on ClassicHub. Sure, it has needed some work, but I’d expected that of any XM I could have bought. I’m still thrilled. And so the year ends with my two-car fleet on a high. 2015 is going to be a real struggle though. The 2CV is badly rotten and I’m still undecided about what to do about it. There’s also a massive, massive urge to own a Citroen Ami 6 that may need to be addressed. How long the XM will remain on the fleet is anyone’s guess too, but I can honestly say that I see no reason to replace it at the moment. MOT time soon. How will I feel after that? Thanks for your support during 2014. This Blog is effectively an overspill for what won’t fit in the motoring publications I write for. I do appreciate support and comments. It will be interesting to see what 2015 will bring my way. I enjoyed reading the comings and goings of your ever changing fleet, for me its was the rover by default as my favourit, but that car aside its the sirion only for its quirkiness as it reminded me of my parents old 1985 charade and you for sticking with it till it wasn’t viable anymore, so I look forward to what 2015 will bring.